In the mid-to-late-nineteenth century, a burgeoning science called electricity promised to shine new light on a rousing nation. Inventive and ambitious minds were hard at work. Soon that spark was fanned and given life, and a fiery war was under way to be the first to light—and run—the world with electricity. 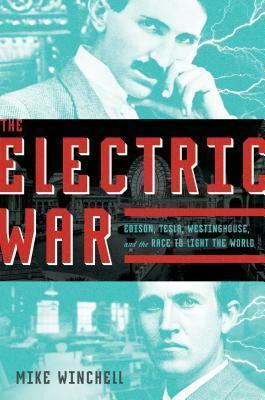 Thomas Alva Edison, the inventor of direct current (DC), engaged in a brutal battle with Nikola Tesla and George Westinghouse, the inventors of alternating current (AC). There would be no ties in this bout—only a winner and a loser. The prize: a nationwide monopoly in electric current. Brimming with action, suspense, and rich historical and biographical information about these inventors, here is the rousing account of one of the world's defining scientific competitions.